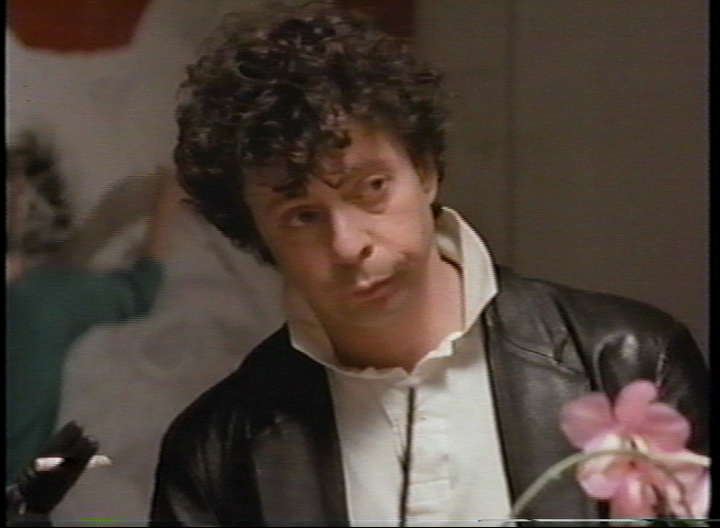 Richard Price had his name on two projects released in 1987. One was the short film “Bad,” possibly the most-viewed, highest-profile project of his career. The other was the short film “Arena Brains,” now one of the most obscure, hardest-to-find titles in his filmography. I’ve referred to other movies on this blog as being available only on VHS, but this is the most VHS-exclusive of them all, without even a foreign DVD release like Streets of Gold or Night and the City have. Except for a couple excerpts, it doesn’t seem to be online anywhere, either, so without a working VCR you really just can’t see it. And this despite its crazily star-studded cast, which includes Ray Liotta, Steve Buscemi, Sean Young and R.E.M.’s Michael Stipe! The film, which runs about a half hour long, weaves together a few tenuously related vignettes set in New York’s downtown art scene: There’s a hot-headed artist concerned with paying his bills (Liotta), a manic nightclub monologist ranting about consumerism (actual monologist Eric Bogosian, also credited as having co-written the screenplay and apparently doing his own act), a late-night car radio theft, and some snarky chatter in the ladies’ room of a fancy restaurant. 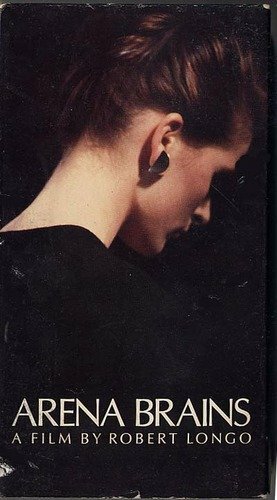 Wandering through most of these scenes and (sort of) tying them together are a spacy young man credited as “The Watcher” (Stipe) and an equally wide-eyed innocent referred to accurately as “Woman in Black Suit” (Jessica Cardinale; that’s her on the front cover of the cassette). 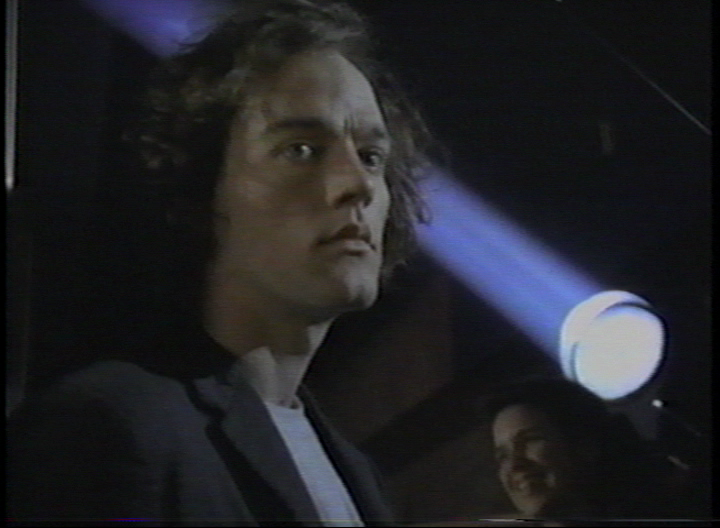 With this film Longo was looking to portray/skewer the atmosphere of amoral excess he presumably saw around him, and his overstuffed list of collaborators (including bands like the Cure, PiL and Hüsker Dü, who are all featured on the soundtrack) is to some extent symbolic of that excess, apart from the actual creative contributions of the artists involved. Think Kanye West pulling in fourteen guest vocalists for “All of the Lights;” the fact that they all showed up is as much the point as the sound of their voices. Richard Price might not be as obvious a trophy as Liotta or Buscemi, but he was a hot commodity in 1987 thanks to his Oscar-nominated screenplay for The Color of Money, and Longo makes sure to show him off as much as possible by putting him onscreen in a supporting role (along with all the other credited screenwriters, Longo himself excluded). Price plays a nebbishy critic friend of Liotta’s artist character, and while I like to point out instances of what I call the Obligatory Richard Price Cameo, this role is actually too big to be called a “cameo,” at least within the context of a 30-minute short. It might be the biggest onscreen performance of Price’s career, and while his lack of experience as a performer is apparent, he does bring a distinctive nervous energy to the role, and he goes for the gusto in a scene that requires him to simulate something like an epileptic fit. As for Price’s segments of the screenplay (the same parts he appears in, I assume), there are a few telltale links to his other works: Liotta’s complaints about visiting art dealers making it impossible to concentrate in his studio mark him as a prototype for Nick Nolte’s artist character in the Scorsese/Price section of New York Stories, and Price’s character’s observation that Liotta turns everything into a joke sounds like an apt description of the protagonists of many of Price’s novels. Still, it’s an energetically ambitious work, one which offers up a lot of ideas to chew on. And while it couldn’t feel more ’80s if it featured Ronald Reagan teaching Max Headroom to moonwalk, that datedness also allows it to serve as an interesting time capsule of its era. In that sense, the fact that it’s still only available on VHS feels less like an inconvenience and more like a thematically appropriate gimmick, with Bogosian’s mocking reference to VCRs as bourgeois safety blankets unwittingly serving as a button on the joke. • The film’s opening scene serves as a reminder that the Twin Towers were a reliable source of heavy-handed symbolism even before 9/11. • Liotta’s character’s method of projecting a photograph of his subject onto a large screen and then tracing over it is apparently drawn (no pun intended) from Longo’s own artistic process. • Actor Mark Boone Junior, who appears here as “Boyfriend,” will show up briefly in the Scorsese/Price segment of New York Stories. He’s also in the film adaptation of the Hubert Selby Jr. novel Last Exit to Brooklyn, a book Price often cites as an inspiration. • Unrelated to “Arena Brains,” but topical: In this new interview, David Simon says that he’s “working with Richard Price,” present tense, which may mean that Price is involved with Simon’s upcoming HBO miniseries on housing desegregation in Yonkers. Next week: Richard Price reunites with Martin Scorsese for a segment of the 1989 anthology film New York Stories. This entry was posted in Films and tagged 1980s, art, film, michael stipe, movies, r.e.m., ray liotta, richard price, short films. Bookmark the permalink.